Enjoy the best inspirational, motivational, positive, funny and famous quotes by Alex Dow. Use words and picture quotations to push forward and inspire you keep going in life! 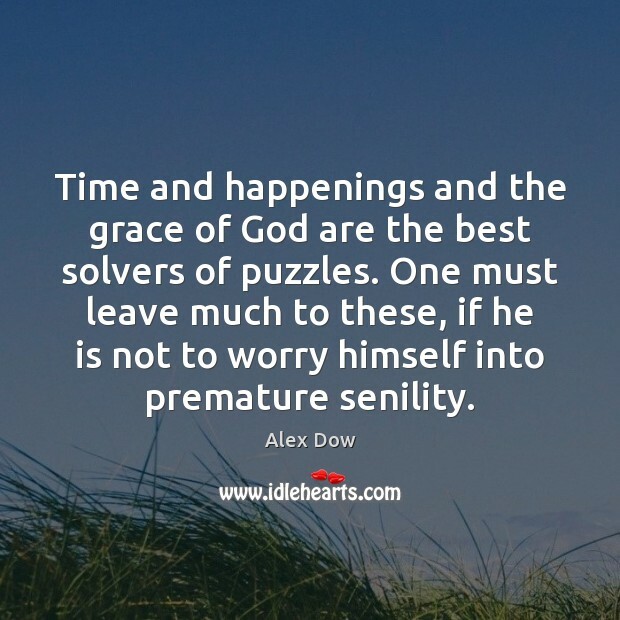 Time and happenings and the grace of God are the best solvers of puzzles. One must leave much to these, if he is not to worry himself into premature senility.